Information sent on this form will go directly to Chief Russell Roper. He alone will determine who will have access to the information and which division should act on the information. The people that know the most about a neighborhood are its residents. Crimes are solved every day because concerned citizens notify the MPD about illegal activity. 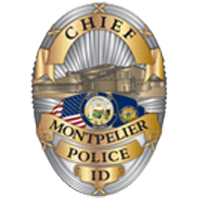 You may have information that will help the MPD solve a crime, save a person’s life or simply make Montpelier a safer and more enjoyable place to live. Get involved. Take the time to fill out and submit this form so we can address the problems in your area. DO NOT USE THIS FORM! Provide NO identifying information about yourself if you wish to remain anonymous!